To understand why you need root canal therapy, let’s first take a look at the anatomy of your tooth. The foundation of your tooth is a root, which is surrounded by nerves and is housed in your pulp cavity. This is surrounded by a soft layer of tissue known as dentin. The soft layer of your tooth is covered with enamel, which is the hardest substance in your body. Over time, and depending on your diet, acids will break down your enamel, causing a hole in your tooth. When you are proactive about treating this condition, your dentist can clean out the decay in your tooth and fill that hole with a material called composite resin. This will restore your tooth back to its normal health. If the decay in your tooth is allowed to progress, it will make its way through your enamel and dentin layer, and into the root of your tooth where it affects your nerves and causes the pain you feel. How Does Root Canal Therapy Help? During root canal therapy, your dentist will remove the infected tissue from inside your tooth through a small access hole in the top. Once the infection is eliminated, your tooth is sealed with a temporary filling and given time to heal. Your tooth structure is not as strong as it once was after root canal therapy, so when your tooth is healed, you will need to have it restored with a permanent filling or dental crown. This ensures that you will have the function you had before root canal therapy. The good news is that modern dentistry has made this procedure quite comfortable with improvements in dental anesthetics, tools, and techniques. 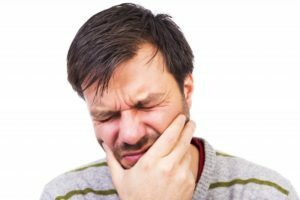 The other factor to consider is that the pain you are feeling is not actually from the procedure itself, but rather from the infection in your tooth. Root canal therapy relieves your pain and eliminates your infection. If you need a tooth treated or have questions about root canal therapy, contact your dentist in Syracuse today. At Creative Dental Concepts, Dr. Gregory Craybas and Dr. Donald Crumb have teamed up to create a dental experience that is exceptional for their patients. By combining their skills and expertise, they are able to provide comprehensive dental care, which means their patients are rarely referred anywhere else for their care. If you would like to contact Creative Dental Concepts, our team can be reached online through our website or by calling 315-475-6641.